This little she-crab from Aaron Basha is delightfully delicious! The vibrant pink enamel pops brilliantly against the 18kt white gold setting, and more shine is added by the magnificent white diamonds that adorn the bail. 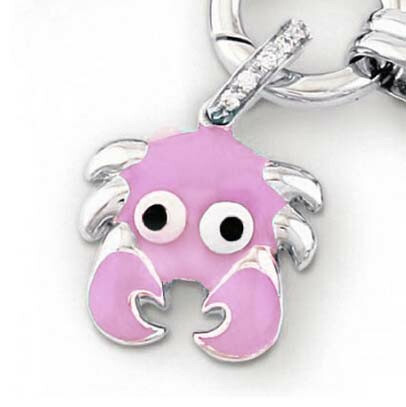 With big, googly eyes, this fabulous little crab would like to become part of your personal Aaron Basha collection!